I used to be self-conscious of the fact that my company offers other services in addition to music therapy. 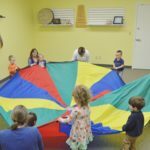 As much as I loved providing typical and adapted lessons as well as early childhood classes, I wondered if that somehow made Music Therapy Connections less than other music therapy practices. 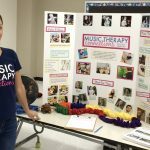 But it didn’t take long for me to realize that providing those other services in and of itself was a hugely effective way of advocating for music therapy. Families who brought their children for piano, voice, or guitar lessons would often ask what music therapy was all about, and they were responsible for the bulk of my referrals. The awareness of music therapy in my community was growing as a result of their word of mouth. This started happening in the early days, when my studio was still located in my home. Moving our business into the music store in 2014 was a gigantic step for music therapy, because now the store management and employees were witnessing and referring our services. 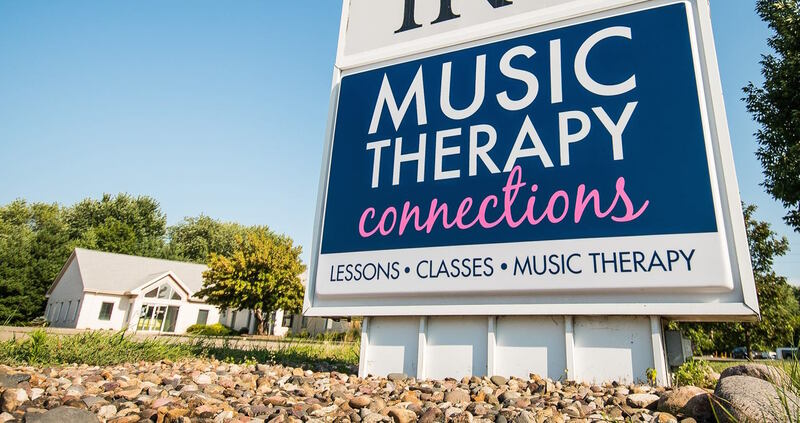 But the game-changer was having a sign — easily visible from a highly trafficked street — with the words “MUSIC THERAPY” on them. 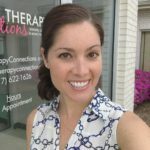 For my partner Katey and I, our role as “connectors” when it comes to advocating for music therapy has increased tenfold since turning our private practice into a brick-and-mortar operation. At least a few times a week, people walk through our doors wanting to learn more about music therapy and how it can help their family member. 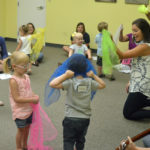 Our families who are there for services other than music therapy are seeing and learning about what we do as music therapists just by being in the building, and they in turn are connectors as well. Develop your music therapy “elevator speech” and give it. Often. Share information about the work you do with friends and colleagues in related fields. Give our your cards and brochures to anyone and in anyplace you think might benefit from music therapy. Seize every opportunity to participate in fairs, expos, and other public events. Take to social media! Use and follow the #mtadvocacy hashtag on Twitter, Facebook, and Instagram to stay current with the latest happenings. Spread the word about what music therapy can do. Share music therapy success stories with your healthcare providers and other professionals. Support and attend music therapy-related events and programs. Invite your friends. Give referrals to others who you think may be able to benefit from music therapy. Be sure to visit the Music Therapy State Recognition website for more posts about #MTadvocacy throughout the month of January.